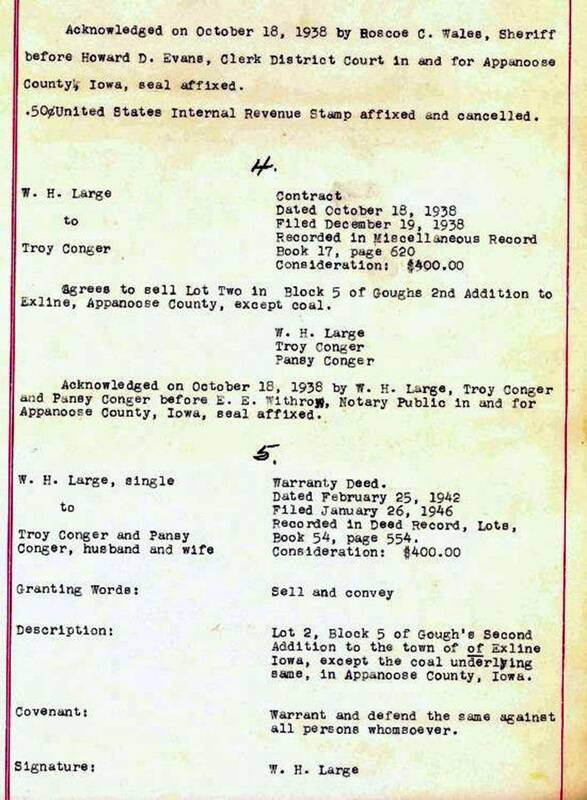 Enos Conger, Troy's Great Grandfather, received a "Patent" for this land in 1852, just a few years after he and several of his family settled here from Ohio. 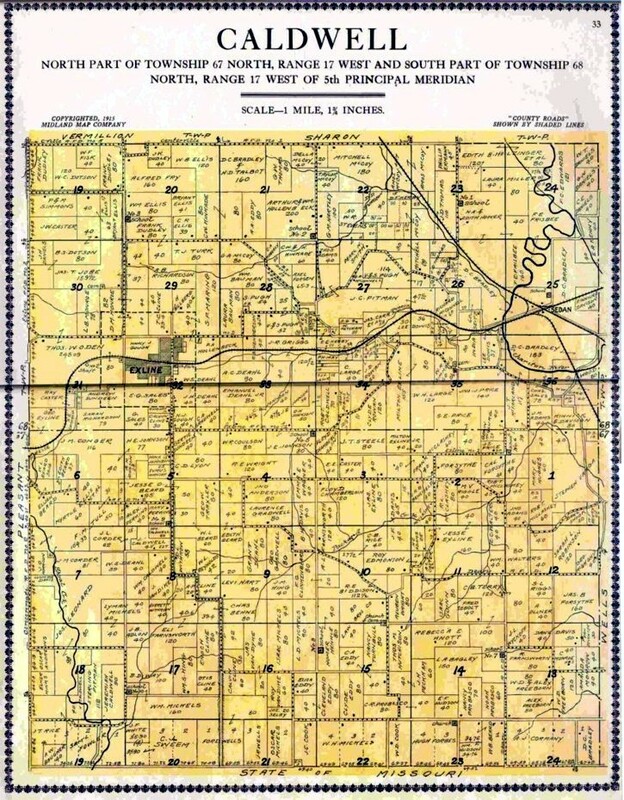 If you check up on your “sections” you will find that a section of land is one mile by one mile square (640 acres) – a square with sides one mile long. 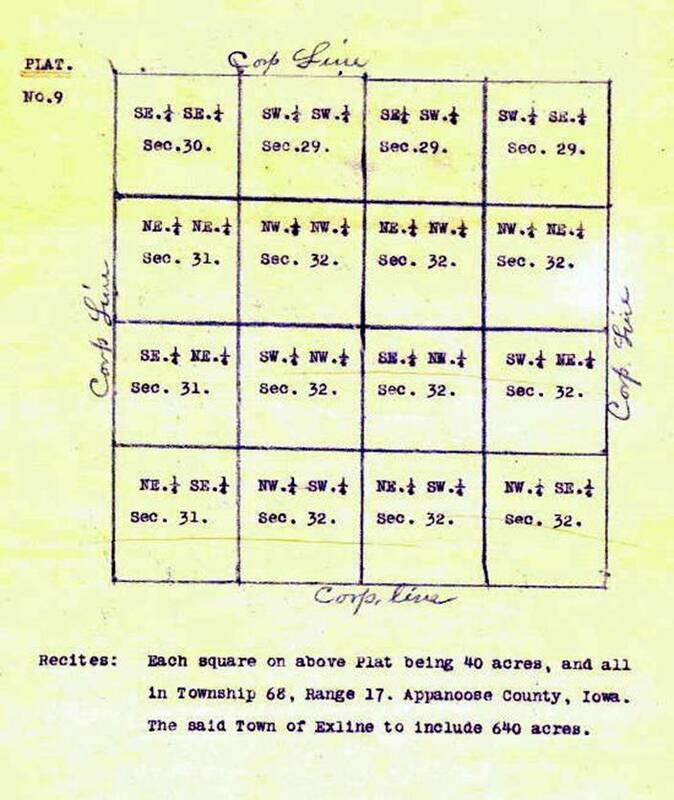 If you divide the section into 1/4s, each 1/4 section will have 1/2 mile sides thus Enos’ 1/4 section was a half-mile square. Since it was the N.W. 1/4 section of Section 32, per Plat No. 9 above, this puts it squarely within the confines of the “corporate” lines for the city of Exline. 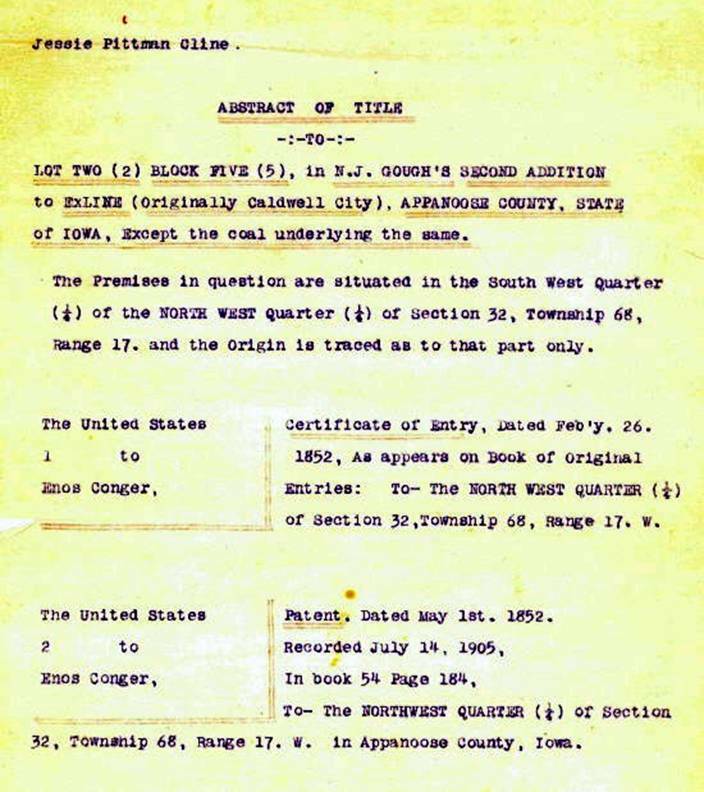 What’s a quarter-section? Try http://www.thefreedictionary.com/quarter%20section. As measured by the speedometer of my car, the drawn square is 1/2 mile x 1/2 mile. The darkened lot in lower center of the map is Troy Conger lot #2. 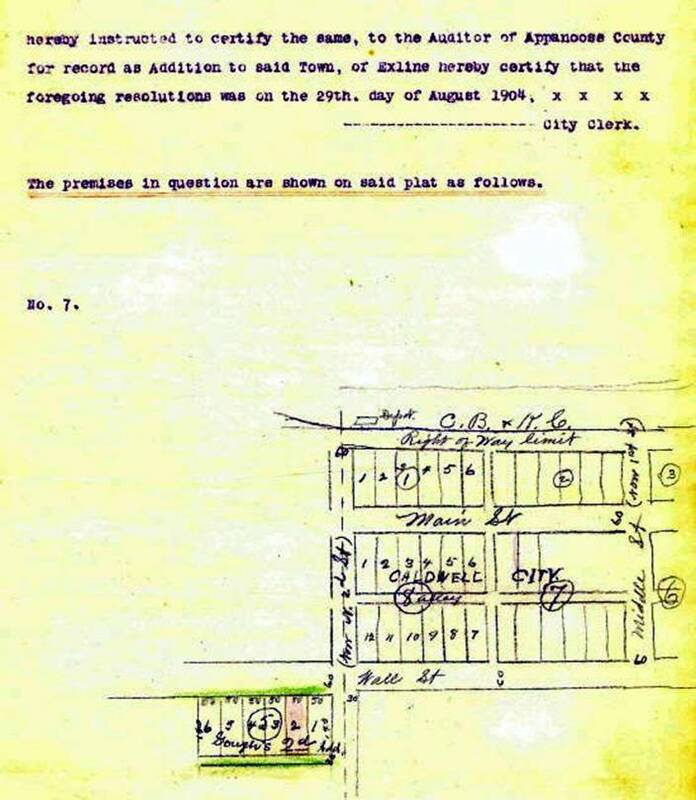 Here is a 1915 document which does better job of showing location of Exline in section no. 32. 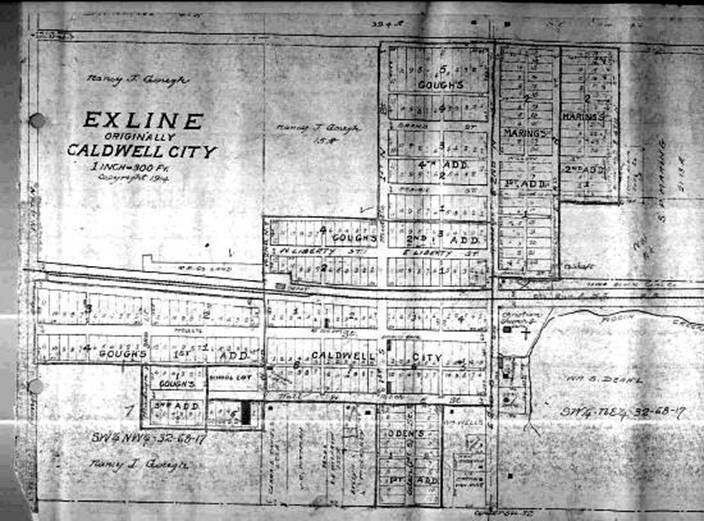 As you can see, Exline, excepting the northeast corner, is located within the confines of Section No.32’s NorthWest Quarter Section. 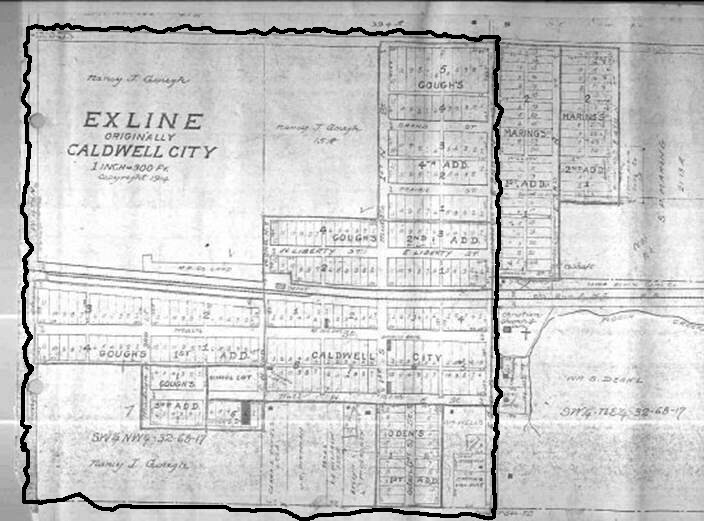 The Corporate Line is a further one quarter of a quarter-section, outside Exline city limits and represented by a dashed line on the plat, or map.